In 2014 Vendic released the first version of Kabooo. The shop was ready for a more premium shopping experience, this resulted in creating a complete new corporate identity. 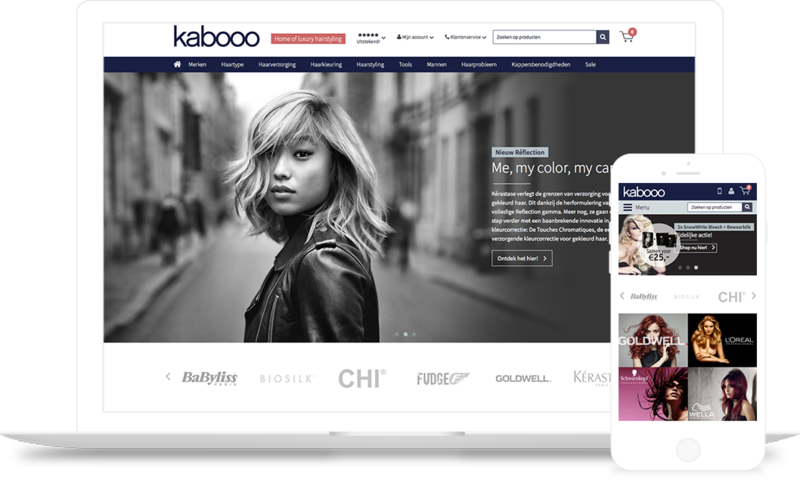 The new looks connect the dots with the Kabooo branding; Home of Luxury Hairstyling.